RMJ Tactical has gained a worldwide reputation for tactical tomahawks for nearly 20 years, proudly made in the USA. But their reputation doesn't end there. 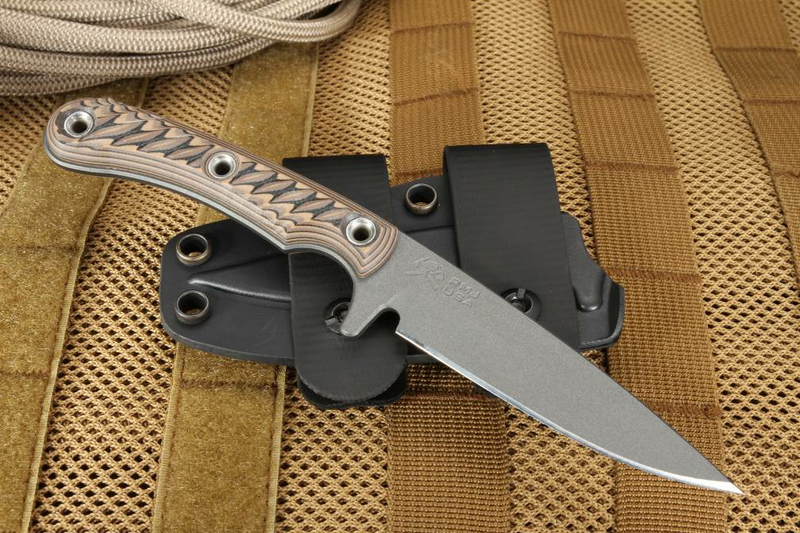 The Sparrow comes from a pedigree of blades created for special forces by former special forces operators. And even if you aren't serving your country overseas, RMJ tactical blades have found their way into the hearts of law enforcement, first responders, outdoors enthusiast, and especially the everyday carry crowd. 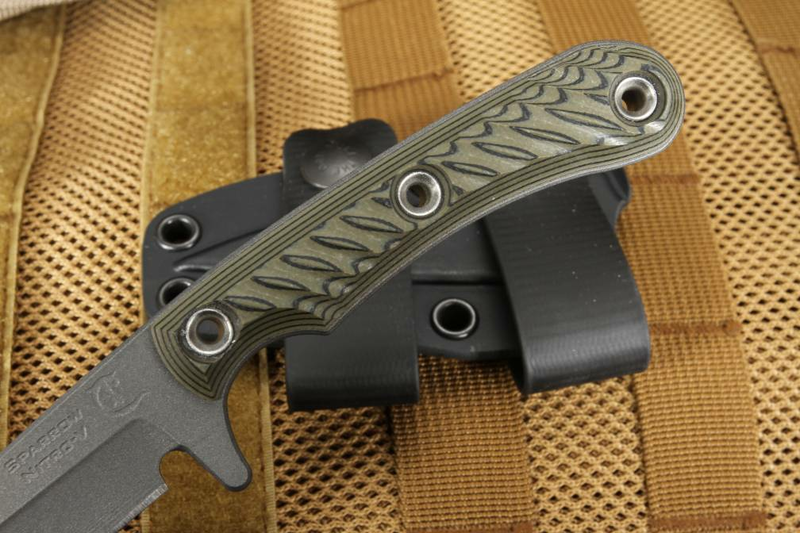 The Sparrow is a fixed everyday carry blade designed for toughness and durability by RMJ tactical's right-hand man and heat treatment expert, Charles Taylor. At an overall length of 7", this full tang constructed blade is crafted from oversized 1/8" D2 stainless steel stock with a Rockwell hardness of 58-60. 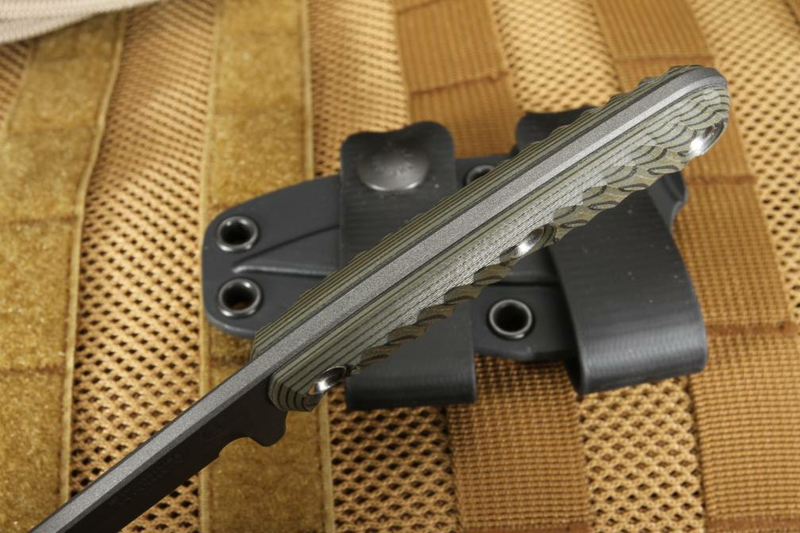 The blade itself is additionally hardened with a sniper grey cerakote finish which not only adds to steel hardness, which prolongs the life of the edge but also enhances corrosion resistance as well. The 3.1" blade features a drop-point design with a long chisel grind cutting surface that keeps and maintains a razor-sharp edge. The thick blade stock allows for power in cutting and chopping, while the point is highly effective for detailed work and control when you need it. 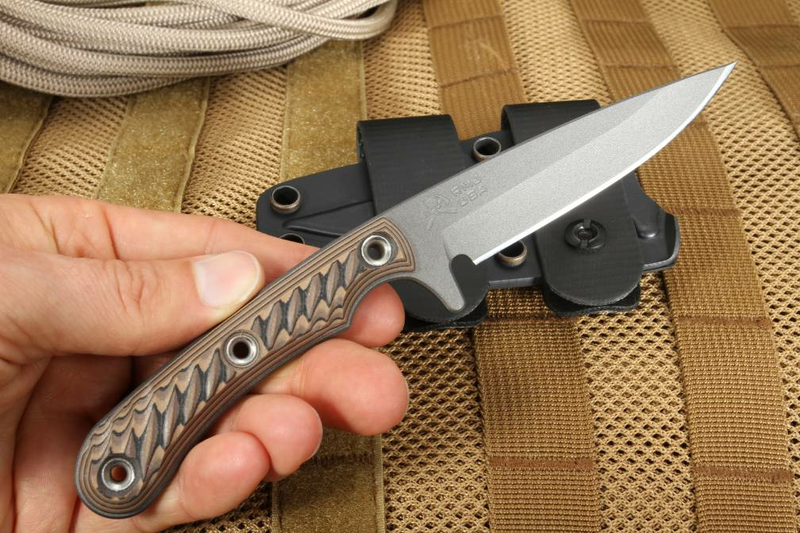 At nearly 4", the 3D machined G-10 handle is a perfect fit for even large hands and won't slip in wet or dry conditions. The Sparrow is available in Black, Hyena Brown, or Dirty Olive. Tubed rivets along the handle can be used as lanyards in conjunction with paracord for some interesting carry configurations. From keeping your blade tethered to your wrist or lashing the handle to a pole for an improvised spear or another tool, the options are nearly endless! 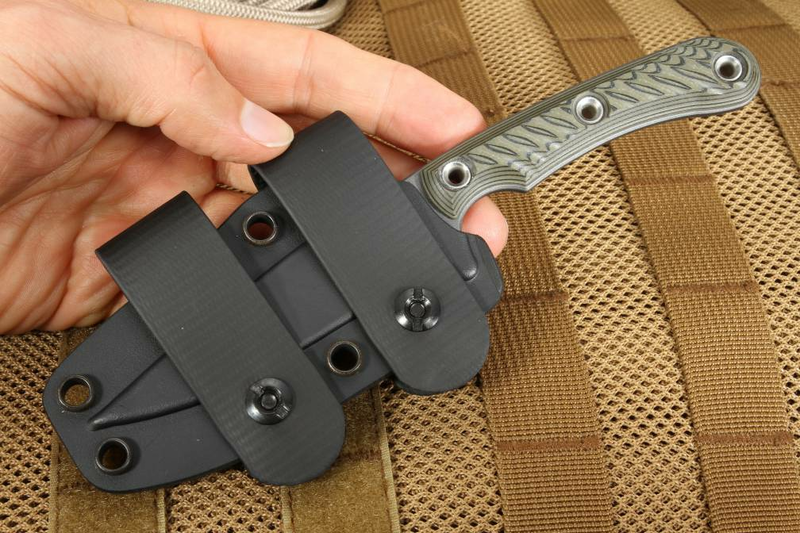 The Sparrow comes with a kydex scabbard with biothane belt loop. 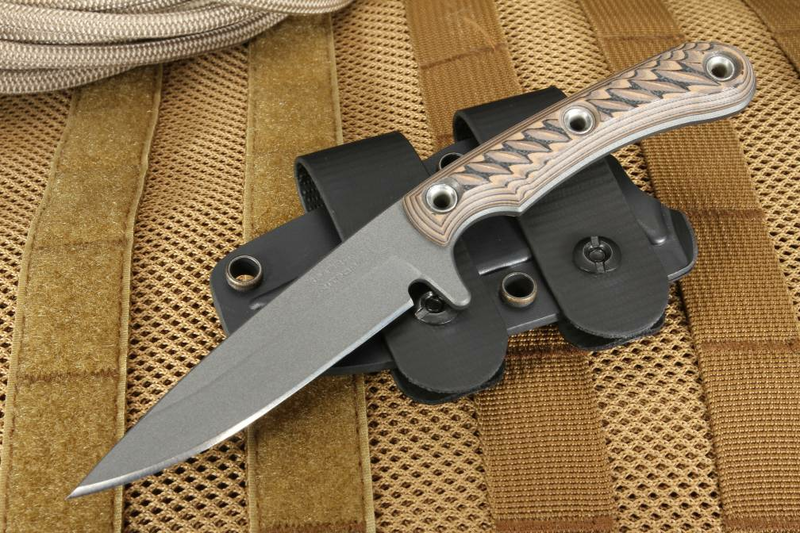 As an authorized dealer of RMJ Tactical knives, Knifeart.com gives you fast free shipping in the US, and is so certain you will love your knife that we offer a 100% customer satisfaction guarantee with easy exchanges in the unlikely event you don't like your purchase.